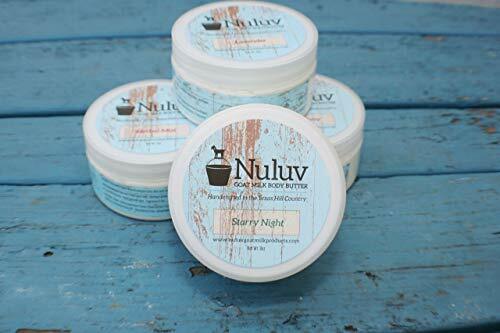 2 Jars of Nuluv Goat Milk Body Butter - your choice of fragrances. All of our body butters are handmade, on our farm, with milk from our own herd of dairy goats. We milk our girls by hand, twice daily. We do not use any machines on our animals.